This pet is sold by vendor Breanni, the NPC inspired by the creator of this website. Increasing your reputation with the Kirin Tor faction will give you discount on this and other pets sold by Breanni. If Stinker the skunk is nearby, he will fall in love with the Calico Cat and chase it around. This was one of the 3 I originally leveled to lvl 25. Awesome for leveling. 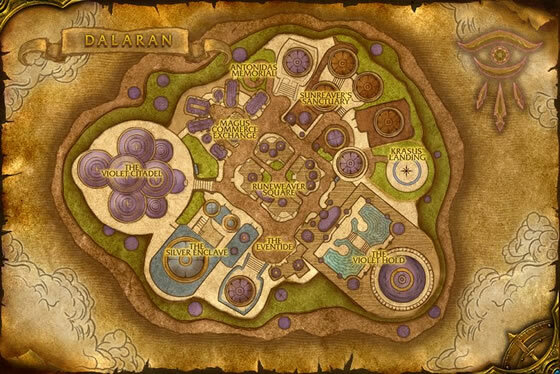 Sadly I don't use it much anymore with the pandaria trainers. Doesn't seem as relevant anymore but was amazing. i recently was given a calico kitten in real life and was excited to name my calico cat in game after my kitten. however, since most real life calicos are FEMALE, i am surprised to see my in game calico listed as male. i am confuzzled. I love this Calico Cat. It's worth it for 40g if you like to collect companions like me! I love this Calico. I have a Tortie IRL named Druid, so I keep this cuite kitty by my side as much as possible! I had a Calico cat IRL for several years and she was my baby. I was heartbroken when I had to find her a new home. And then Breanni announced this upcoming pet. I knew I had to get one, because she's a twin to my kitty! I have one on all my alts now. She doesn't do anything special or different from the other cats, but the simple fact that she exists and I have her makes my time in WoW feel more special! Thank you, Breanni, and Blizzard! I rate this kitty as an A+++! She's a little on the expensive side, but given that she is available from a vendor (YOU KNOW WHOOOOO! ), I am curious why she is rated as "very rare." Is it because of her price tag? 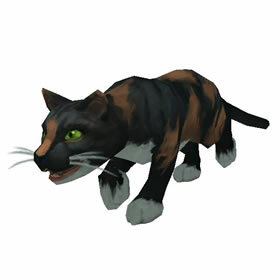 It is awesome that they added a calico! I had a calico kitty named Patches who lived to be 20 (with three legs!) so they hold a special place in my heart. Regarding above where someone commented that "only female calicos have orange"; it is interesting to note that there are in fact NO male calicos because one of several genes expressing coat color is located on the X chromosome, which, when a female cat is heterozygous for both orange and black alleles, expresses itself as tortoiseshell. There's been a calico in the basement of Ravenholdt for a long, long time. I guess we know who Breanni's getting them from . . .